If Tolstoy is to be believed, “All happy families are alike; each unhappy family is unhappy in its own way.” And although the Russian master certainly knew his way around a tragedy, he's not the only one —Toni Morrison's latest short story "Sweetness," published by The New Yorker in advance of her forthcoming April novel God Save the Child, carries on her tradition of brutally honest explorations into the many ways in which we hurt the ones we love. And nobody, I mean nobody, communicates the haunting specificity of an intimate, family struggle with the strength, candor, and honesty of Toni Morrison. From The Bluest Eye to Beloved, Morrison’s most iconic works wrestle with the earth-shattering metamorphosis that begins to take shape when a single, self-contained individual takes up the mantle of parenthood. "It's not my fault. So you can't blame me. I didn't do it and have no idea how it happened," Morrison begins, searing us with the brand of blame, daring us to wonder who is at fault, to question what on earth has happened here and who could possibly be responsible. Slowly, the tale of Bride is pulled from the tight, tunnel of her mother's self-reflection, wet and slick with the horrors unique to the unhappiness of this particular family. As the midnight-black, Sudanese-black infant girl soon to be know as Bride wriggles free from the birth canal, "pulled out from between the legs" of a mother with light skin and good hair, Morrison draws back the veil of the individual and sinks her teeth into the problem"skin privileges" straight off the bat. This is no ordinary short story. "It's not my fault. So you can't blame me. I didn't do it and have no idea how it happened." I've seen those words on my Facebook wall when Michael Brown's body was left lying on the street for four hours; when Trayvon Martin was murdered as he walked back from the convenience store; when Eric Garner was slowly suffocated to death for selling loose cigarettes on the streets of New York. Slavery is America's original sin, but today we seem unwilling to confess to the racism that still infects our everyday interactions, to dismantle the structural inequalities that poison the well of potential for so many, to examine and eliminate the subtle everyday ways we treat each other differently. It takes an honest and unrelenting voice to that demand we see what has been deliberately been hidden for so long — a voice like Toni Morrison's, an unwavering and undeniable force spreading truth through fiction. With "Sweetness" Morrison teases her forthcoming novel, the full story of Bride's tortured upbringing and the ways in which "what you do to children matters. And they might never forget." In the hands of an author without the gifts, insights, and brutal emotional honesty Morrison has displayed throughout her career, "Sweetness" might remain merely the story of mother and child, a powerful tale of one family's unhappiness, cocooned in its own individuality. But "Sweetness" did not spring to life from the hands of just any author, and enveloped in Morrison's loving arms this quivering, confessional tale expands to become a story about all of us, a story about race in America, about love and hatred, responsibility and regret. So, listen up because, as "Sweetness" explains it, "you are about to find out what it takes, how the world is, how it works, and how it changes." 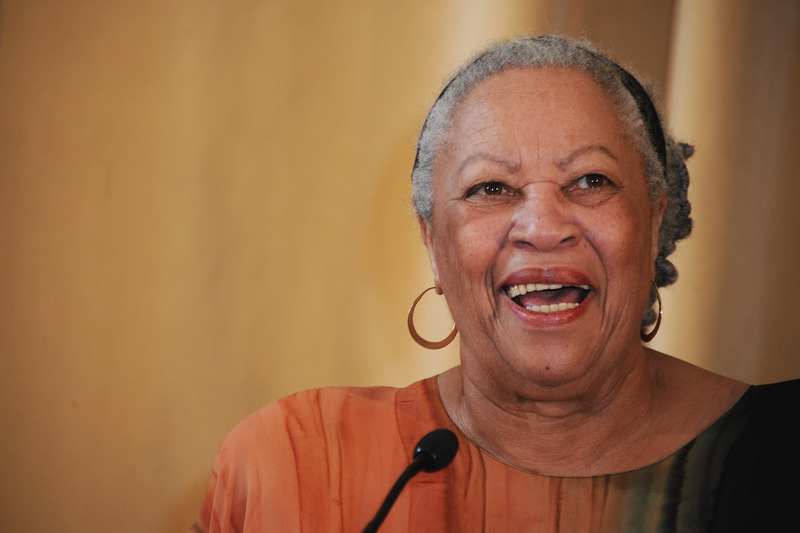 She reminds us what it is to read a Toni Morrison story, and why hers is a voice that has forever changed American fiction for the better. Goodness, I can't wait for this novel.